Velvet is lush, elegant and a challenge to sew with, even for experienced seamstresses. Crushed velvet is made by machine-twisting velvet fabric while it is wet. This leaves a permanent texture in the fabric that is a bit more forgiving than traditional velvet. Although crushed velvet is slightly less difficult to work with than traditional velvet, it still presents many of the same challenges for sewing. By taking your time and following a few key steps, you can make a beautiful garment with crushed velvet. Use the right tools when sewing crushed velvet. A 70/10H or 80/12H universal or sharp needle is best. A walking presser foot, roller foot or Teflon foot will help the velvet glide through the machine. Sharp scissors for cutting are a must. Cotton or silk thread is recommended. Lay out all the pattern pieces consistent with the way you decide you want the nap to run on your project. Running the nap "down" means that it will feel smooth to the wearer when they slide a hand down the garment. Running the nap "up" will add a richness to the color and texture of the fabric. There is no wrong way for the nap to run, but it is important that each pattern piece be cut in the same direction. Lay the crushed velvet on your work table in a single layer with the wrong side up. Pinning the pattern to the wrong side will decrease the shifting that typically makes velvets difficult to work with. Mark dart and dots by hand-sewing with a sharp needle and silk thread or with tailor's tacks. Do not use a tracing wheel, as it will leave a mark in the velvet. Cut out the pattern pieces with clean, sharp scissors. Baste the seams together to prevent the fabric from slipping when you are sewing. Do this by hand-basting, machine-basting or using a spray adhesive baster. If you use an adhesive product, cover your work surface with a protective cloth before spraying. 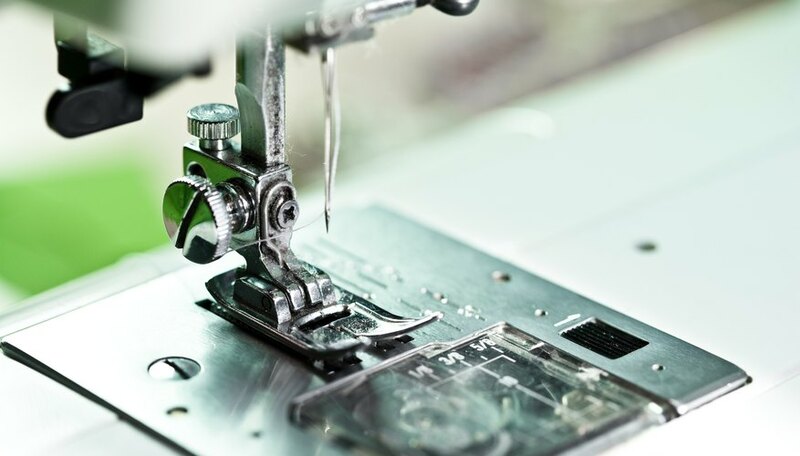 Load your machine with one of the recommended feet and carefully sew your seams together. Go slowly and be mindful of mistakes. Ripping out a seam with crushed velvet may leave the fabric unusable. Trim seams and press them open with a steam iron. Do not let the iron touch the crushed velvet. Let the steam do the work. Hang your garment for 24 hours before hemming or making other adjustments. The fabric will relax as it hangs, causing small changes in the shape or length. Because stitching lines tend to show in velvet, choose patterns with a minimum of design details such as darts, seams or topstitching. When cutting out the pattern, leave up to 1/4 inch of extra fabric around the perimeter to account for fraying and tearing. Trim the seam allowance after sewing. Steam your crushed velvet garment with the pile side down. Cover the pressing surface with a thick towel to prevent the velvet from being mashed.